Painting campaign wilting a bit…but an idea! So this weekend was called off due to a whole horrendous week of having to travel by rail in the snow, coupled by a wire problem at the end of the week which meant the average commute last week took 3.5 hours one way…I was knackered, and the snow on the ground basically stopped any outside work. Except that is for thawing water drinkers and giving warm food to the animals. Growing stuff: well forget it. The Alpacas, apart from having problems finding the grass under the snow seemed to not notice the cold, having lots of hay, beet porridge and apples to eat. The chickens hated the snow – and refused to stand on it – they would just look from their covered pen forlornly at the snow wishing it would disappear. The geese came out their pen, took two steps in the snow and turned round and returned to their pen – that was that, we will have our food here please. Spent the weekend laying in front of the fire, lacking the enthusiasm to paint, well mostly. It seems I have a real wall when it comes to Cavalry. I finished the 24 Roman Auxillaries for ‘To the Strongest’, and then started a musket unit of the penultimate ECW regiment. In between I tried to finish the 24 ECW Cavalry I had started last week. Oh God, did they drag. I am worried about the one and a half Napoleonic Hussar regiments I still have to paint. 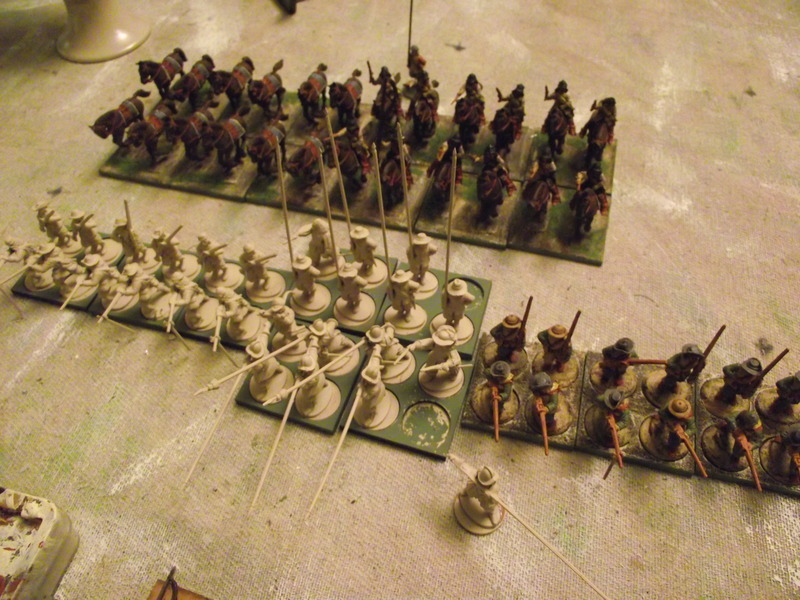 Finally I have nearly done 1 ECW regiment of 12 figures…just one last ECW regiment to do. Look I am painting, really! That’s just over 300 28mm figures in 2 months. No wonder I am feeling jaded!! Outside of painting I have 8-9 bases to finish for the ‘To the Strongest’ Ancient Romans/British to have that project completed. I see that the ECW version of ‘To the Strongest’ is going to be on pre-order soon – it’s one of my allowed rules purchases this year. The other is also coming up for pre-order – ‘Torch’ the 2nd volume of the Tobruk Battlegroup supplements covering the American landings, and later desert war lists up to the surrender of Tunisia for the British, Italian, German and Free French (and possibly Vichy French). I will be ordering both these books as soon as the pre-order goes up!! Back to the painting challenge. I was worried last week about how I was going to fill the last 240+ figures as they were largely Napoleonic figures that I already had enough of, or were Prussian which I didn’t have a use for. Well I reckon I might have had a really good idea. In my youth I read and watched the Sharpe books and films and thought they were a good romp that never let historical fact get in the way of a good story. However there was one story, Sharpe’s Enemy , where the intrepid Sharpe fought a large band of deserters from all the armies in no mans land between the British and French armies on the border of Portugal. Set in 1812 I see no reason why I can’t push it back to 1810, and the original French Army of Portugal invading France, (I love that army, my first army, started when I was 11, is a 25mm representation of the entire Army of Portugal at 1:60). If I look to do this for ‘Sharpe Practice 2’ then I could create a force big enough to field its own side, and have fun putting it together from all my various sets, converting and suitably making them ragtag. I can then use the leaders from the book, the self styled ‘Marshal Pot-au-Feu’ (Soult’s ex chef), and Sgt Obadiah Hakeswill. The force can be a mixed French, British, Portugese and Spanish force. 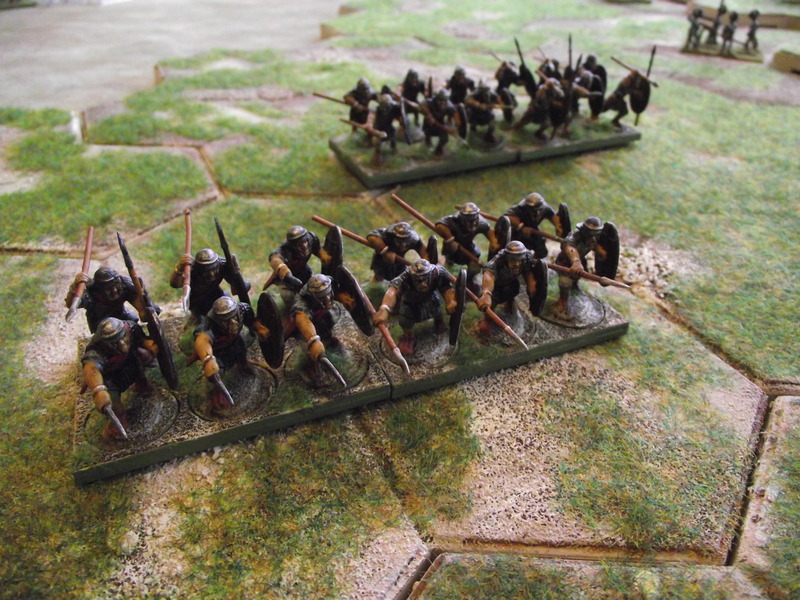 I reckon this force would need to be 3-4 formed line forces (about 40 figs – count as Militia) plus about 3-4 sort of light/formed stuff (about 48 figs – count as Wallahs) and about 5-6 units of skirmishers (about 36 figs count as skirmishers). I reckon they may have a gun as well, and enough leaders (carefully converted) to lead them. So about 130+ figures of the 240 I have to find, and No cavalry. With the actual units of Spanish light, and French foot gendarmes that I also need to paint I will be close to 200 of the total. Pretty good, and may keep my slightly jaded enthusiasm going!! 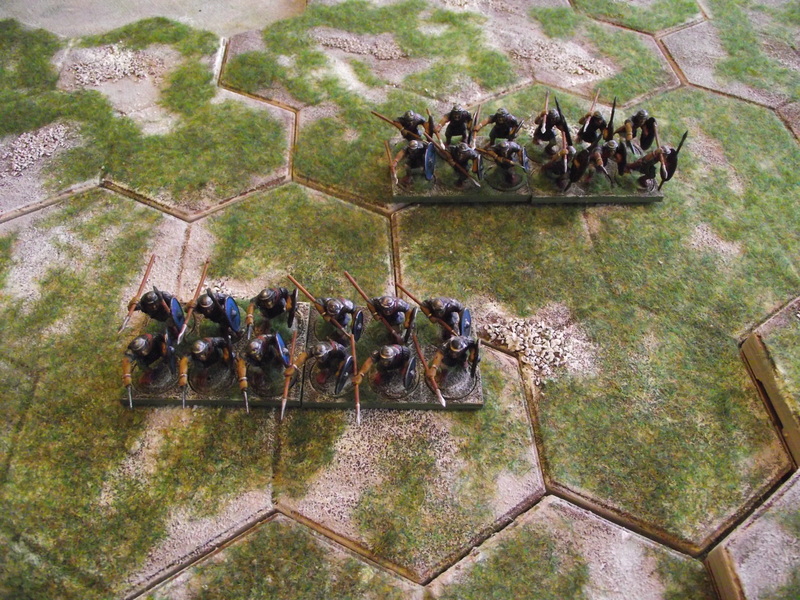 I’m already looking forward to painting various units from the Army of Portugal, deserters of course. It was an interesting Army – formed around the nucleus of the Ney’s 6th Corps of the all-conquering Grande Armee, it was sent to Spain when Napoleon deigned to make an appearance late 08/09. Ney was in charge then but resented serving under Massena, and basically got himself sacked. Other units to form the remaining two corps were scrapped up from everywhere, stuff shipped back from the West Indies when the British took over, stuff sent back from Portugal after the first peace and the sweepings of the depot battalions. In it were mainly French units with only a few foreign units. Because of the wide sweep all sorts of odd, old, out of date uniforms were seen, such as the white uniform briefly flirted with by Napoleon in 1807. Coupled with campaign changes and you can imagine a really unimpressive military display!! The British and Spanish at this time were also undergoing changes and defeats affecting the type of units around, the British had the Chasseurs Britannique – a loyalist French unit prone to deserting, and the Spanish the Irish and Swiss units. As a ‘Sharp Practice 2’ force it has a lot to get my teeth into.